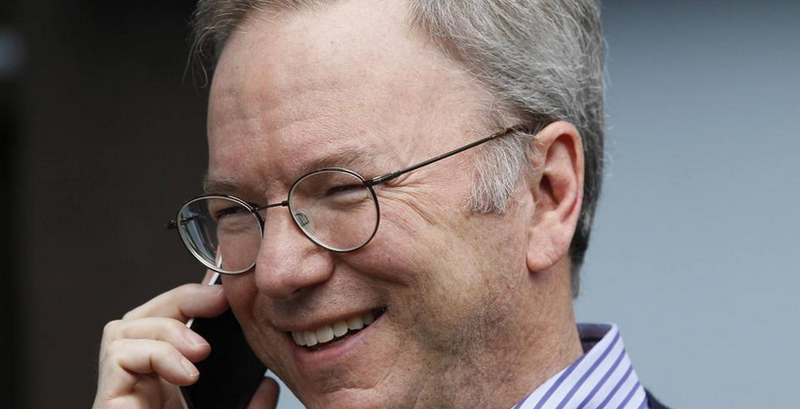 Google chairman Eric Schmidt took to his Google+ page this weekend, laying out the basic guidelines for any iOS user making the switch to Android. The process might seem daunting at first, given a certain level of investment one might have in an ecosystem, but Schmidt relates the switch to the same people that went from PC to Mac years ago – once you go Mac, you don’t go back. As a little poke at Apple, Schmidt also references the latest data, that Google’s Android OS controls 80% of the world’s smartphone market. It’s quite the stat, so he wants to make sure that converts are in for a smooth transition to Android. With steps clearly spelled out, setting up a stock Android device has never been easier. Simply log in to a WiFi point or connect to your cell network, add a Google account you already have or sign up for one, download any apps you’d like, update to the latest version of Android, and you are off to the races. Schmidt also dives into making sure you have all of your contacts and music as well, which most people are mainly concerned with – people don’t want to lose all of their valuable media in the switch. Schmidt name dropped a few of the best Android phones that would make great holiday gifts for any tech lover, such as the Galaxy S4, Droid Ultra and of course, Google’s own Nexus 5. Oh, that Eric Schmidt. Such a nice guy.